Improving his mental health and seeing his teenage daughters grow up were the main reasons, Ade Fleet from Borrowash took action after 21 years of smoking up to 20 cigarettes a day. He joined Livewell Derby’s free stop smoking service during Stoptober 2017 and started seeing expert advisor, Antony. 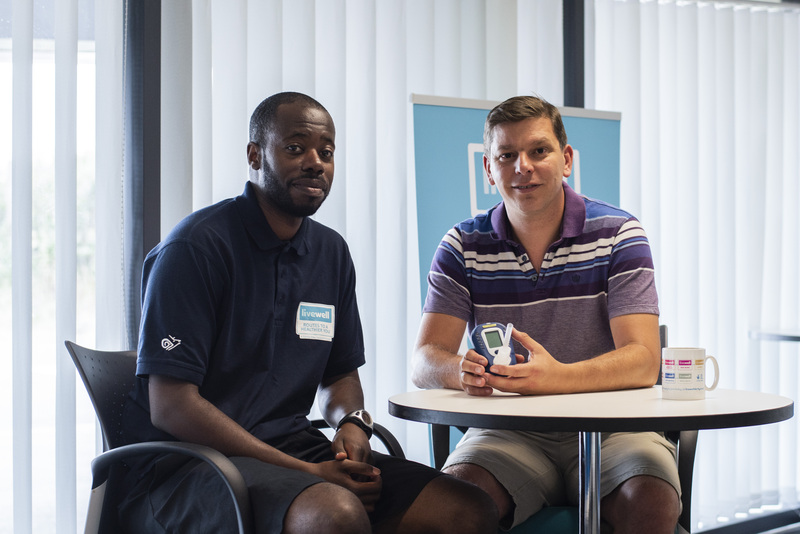 12 months on and Ade is delighted to have achieved his dream of being smoke free for a year and is backing Public Health England’s Stoptober initiative to encourage smokers to get through the 28 day challenge and quit for good. The father of two is now hoping his success will inspire other smokers in Derby to join the Livewell service to get the support they need to take on the Stoptober challenge. Ade is proudly fronting Livewell’s Will Power campaign which aims to encourage all smokers, including those who have previously relapsed, to find their inner will power with Livewell’s support. The service will roll out the campaign during Stoptober and at other key times to engage with the 18% of Derby’s population that smokes (44,775 people aged 15 plus). Evidence shows that people are five times more likely to quit using a specialist service like Livewell than going it alone and Stoptober is a great way for people to quit together to boost their chances of successfully quitting. Livewell Derby offers 12 months free support and stop smoking treatments to people registered to a Derby GP practice. Apply and book your first appointment here or call the customer team on 01332 641254. Watch Ade's inspirational story here.